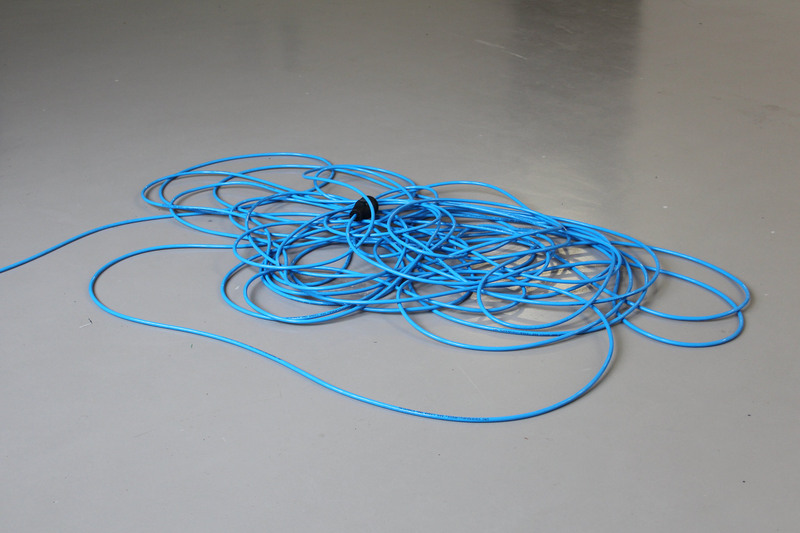 Of Zero Parts, to one, to many. 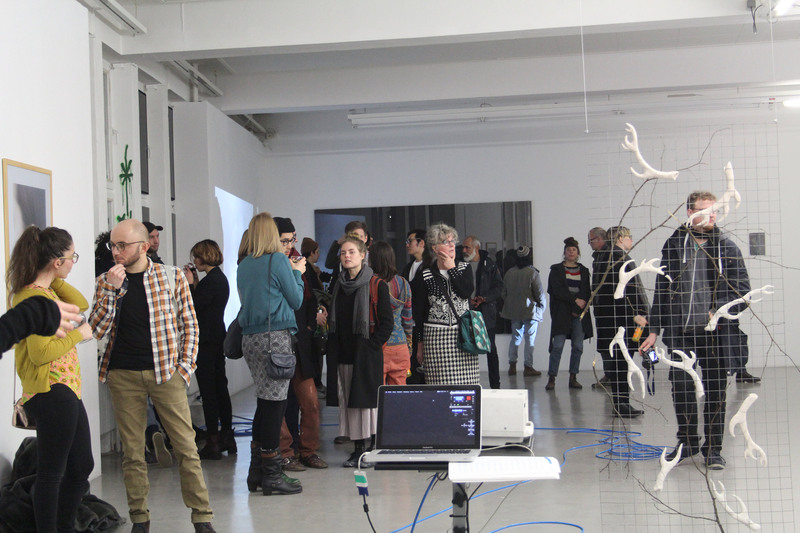 (2) took place during the opening of the exhibition VON SEITENLINIEN at GAK Bremen on 24/02/17. 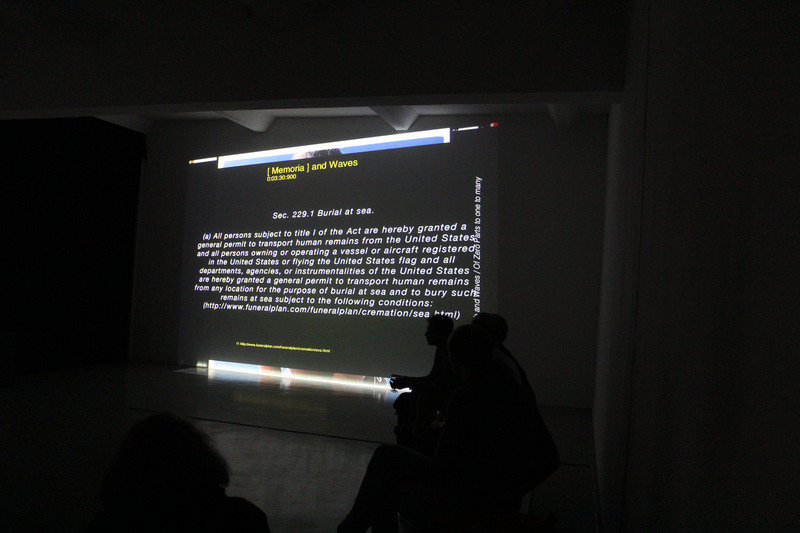 Research and Waves asked each presenting artist for a single word or sentence, in any way related to their work in the exhibition. 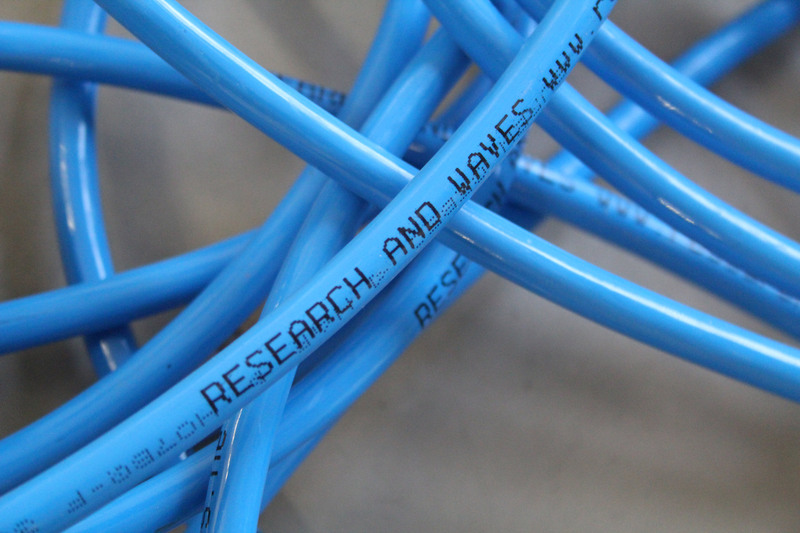 With the fluid concept of the ‘wave‘ in mind, Research and Waves gathered archives of images, videos and text, responding to each participants input. 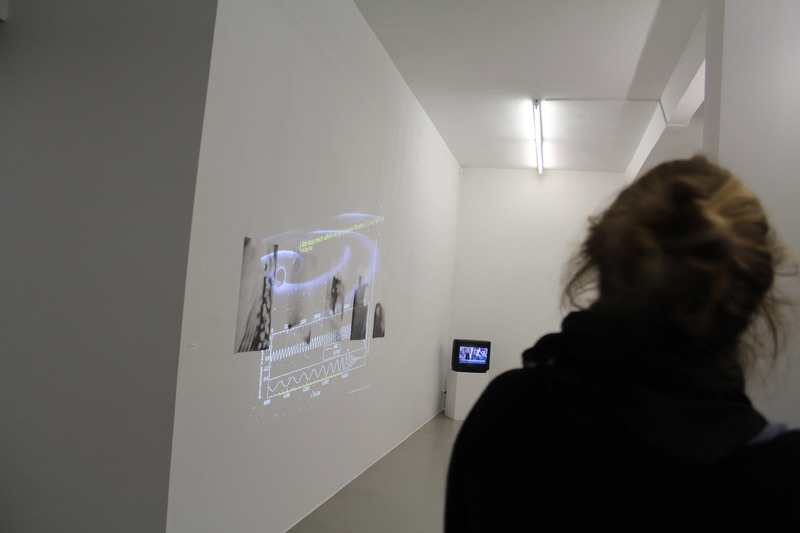 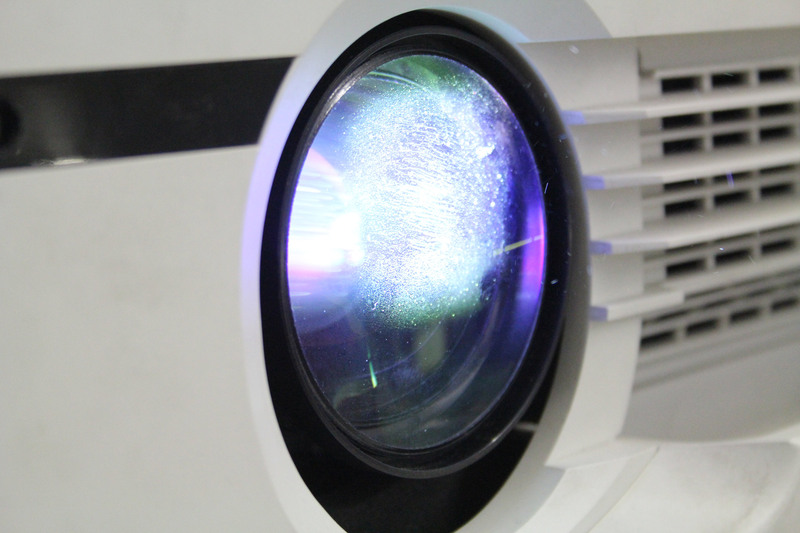 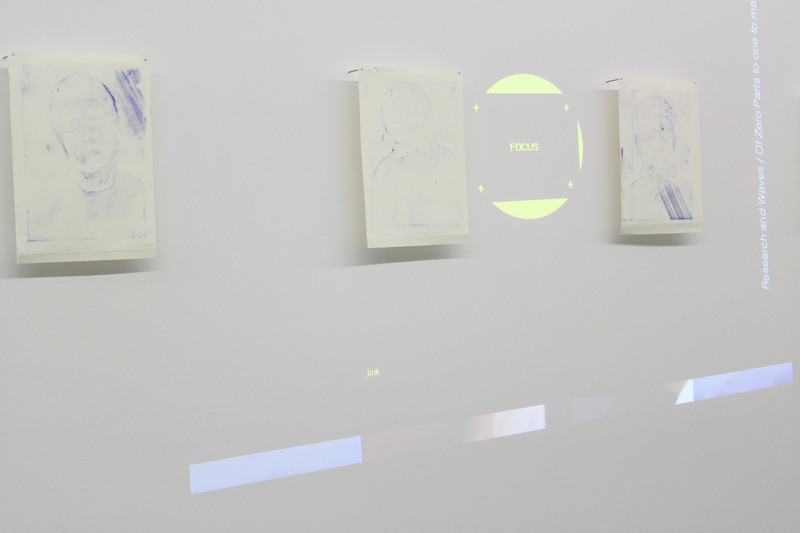 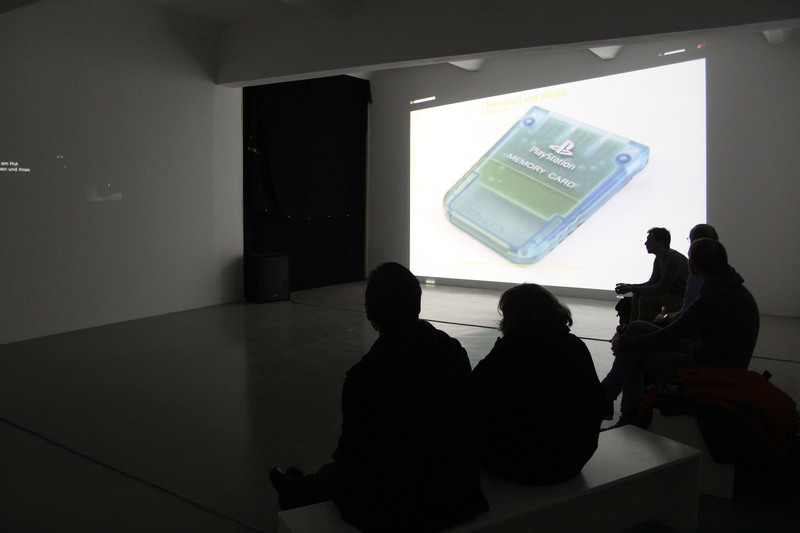 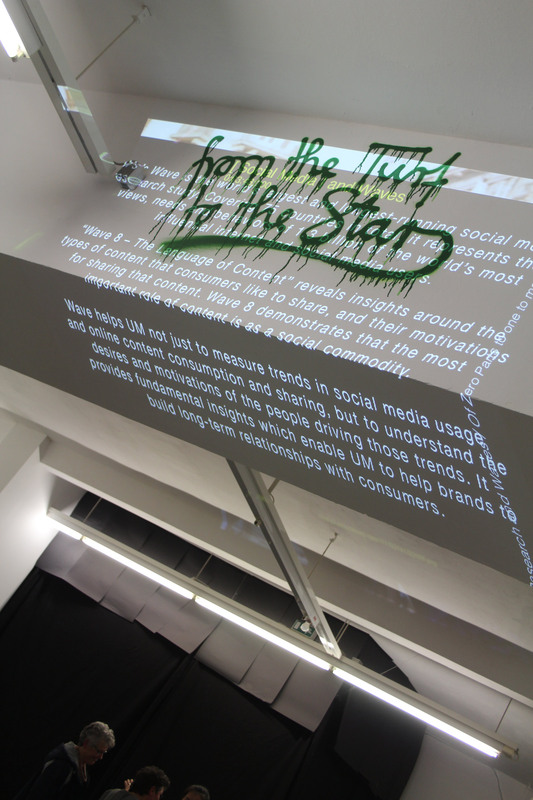 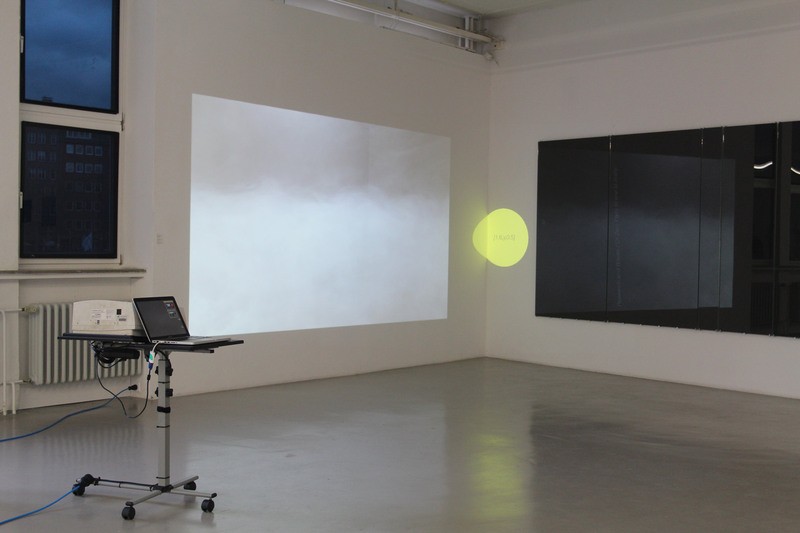 On the evening of the vernissage, a digital projector moves through the space, projecting randomly automated compositions of this research material on the corresponding artwork. 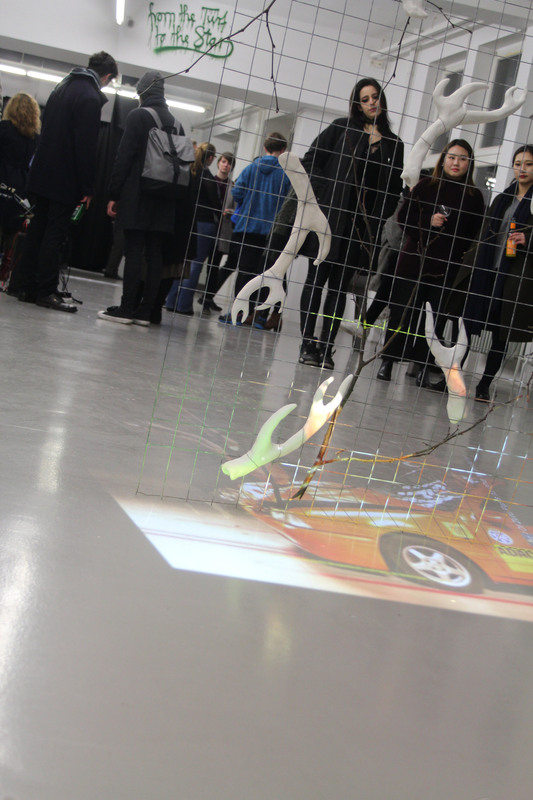 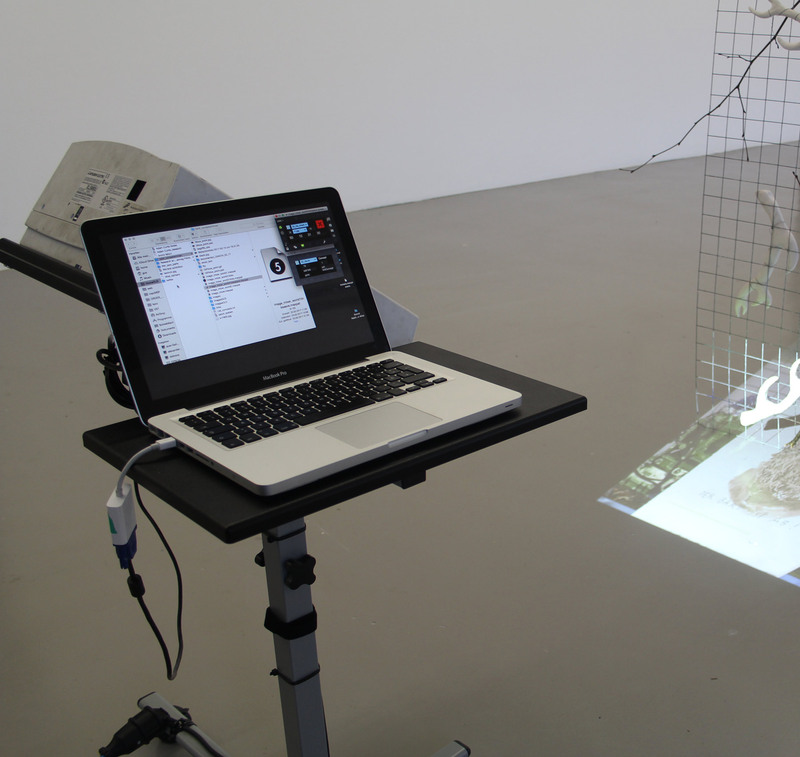 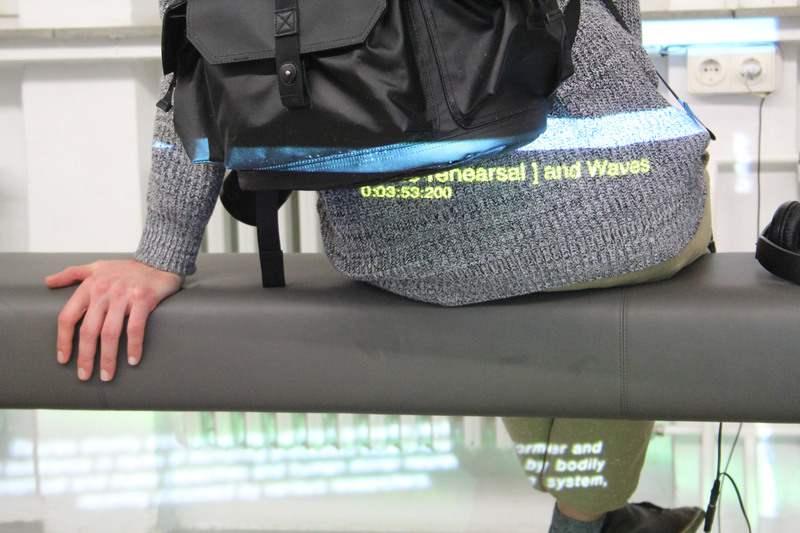 This tool, assembled from software, devices, carriers and connectors, is built to integrate research and production, while adding a temporary layer to the exhibition that allows for new connections within and beyond.